For Chinese immigrant Wong Chut King, surviving in San Francisco meant a life in the shadows. His passing on March 6, 1900, would have been unremarkable if a city health officer hadn't noticed a swollen black lymph node on his groin--a sign of bubonic plague. Empowered by racist pseudoscience, officials rushed to quarantine Chinatown while doctors examined Wong's tissue for telltale bacteria. If the devastating disease was not contained, San Francisco would become the American epicenter of an outbreak that had already claimed ten million lives worldwide. To local press, railroad barons, and elected officials, such a possibility was inconceivable--or inconvenient. As they mounted a cover-up to obscure the threat, ending the career of one of the most brilliant scientists in the nation in the process, it fell to federal health officer Rupert Blue to save a city that refused to be rescued. Spearheading a relentless crusade for sanitation, Blue and his men patrolled the squalid streets of fast-growing San Francisco, examined gory black buboes, and dissected diseased rats that put the fate of the entire country at risk. 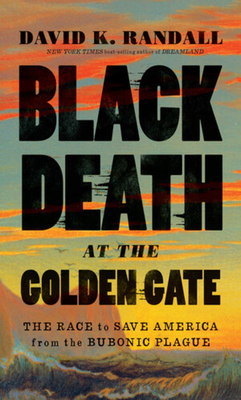 In the tradition of Erik Larson and Steven Johnson, Randall spins a spellbinding account of Blue's race to understand the disease and contain its spread--the only hope of saving San Francisco, and the nation, from a gruesome fate.